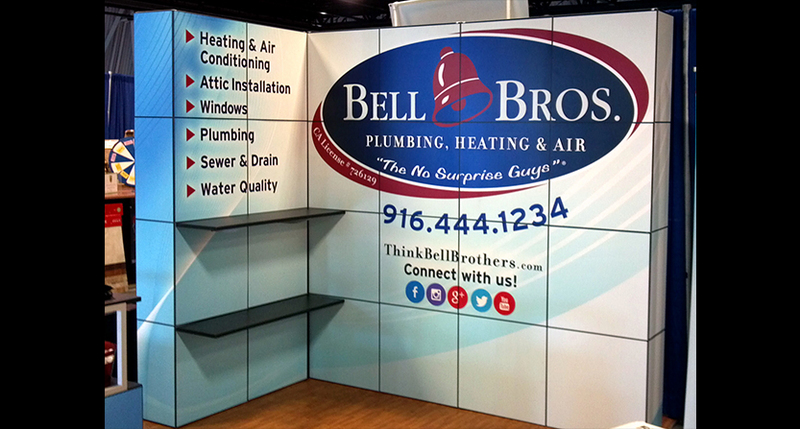 Portable trade show displays are often necessity for many businesses, as they help potential customers, employees and partners form lasting impressions of the products and services. That being said, it’s important for your display to showcase your professionalism in an attractive way while maintaining functionality and durability so that it can withstand the rigors of the road. 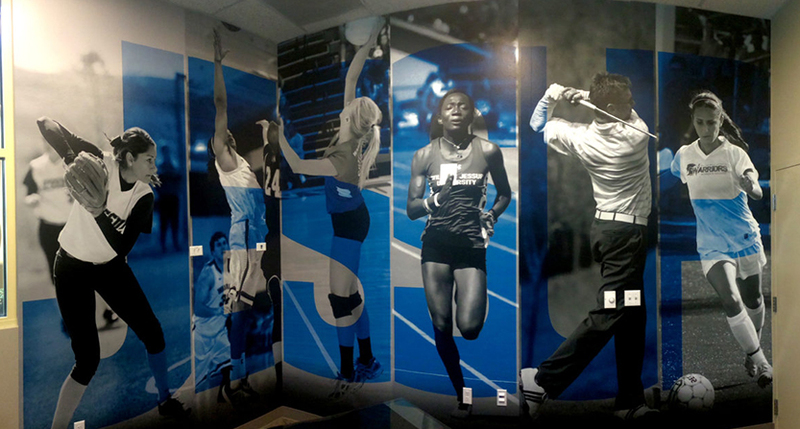 SpeedPro Imaging Sacramento will supply you with the graphics and accessories necessary to accomplish these goals. We’re backed by the biggest large format graphics provider in the country, so we have access to top-tier printing technology and industry-leading materials. The extensive catalog we offer carries the convenience of options without the burden of choice. It can be difficult to find your ideal combination of products to take on the road with you, but fortunately, our visual communication experts are prepared to help! We’ll take into account your requirements and provide in-depth recommendations. We’re also completely open to feedback, so we’ll continue to mold the plan of action until it’s one you’re completely satisfied with. We don’t believe in saying “no” to any project, and that’s reflected in our commitment to the craft. 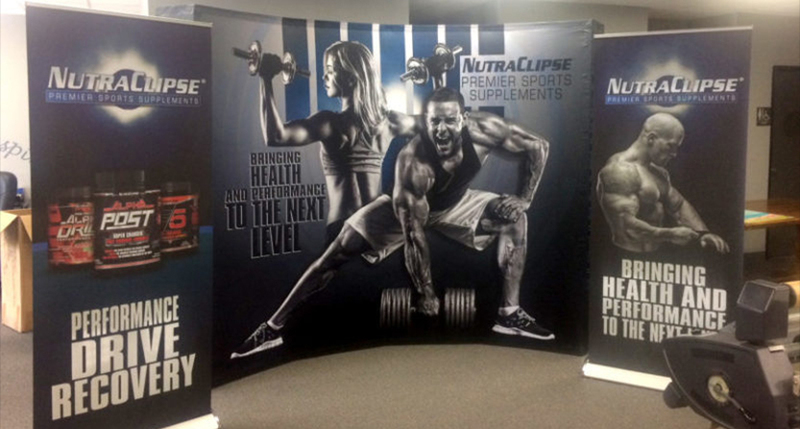 By the end of the journey, we’ll provide you with a premier pop-up trade show display that colorfully reflects your brand and offers easy set-up and tear-down at your next expo, festival or concert. 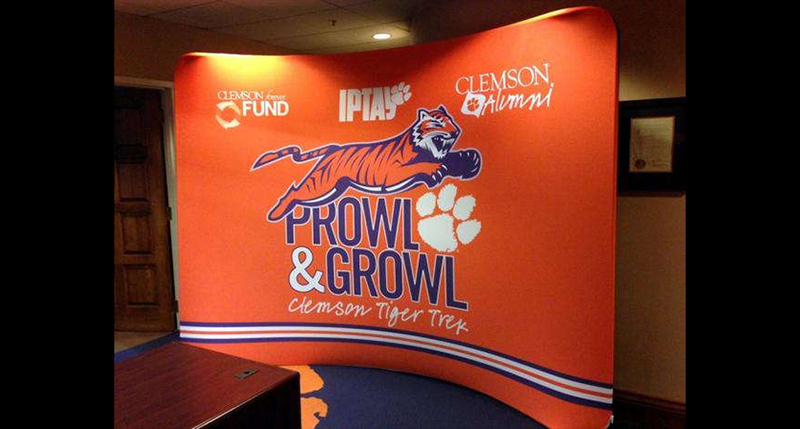 Banner stands: Retractable banners offer excellent flexibility and impact. 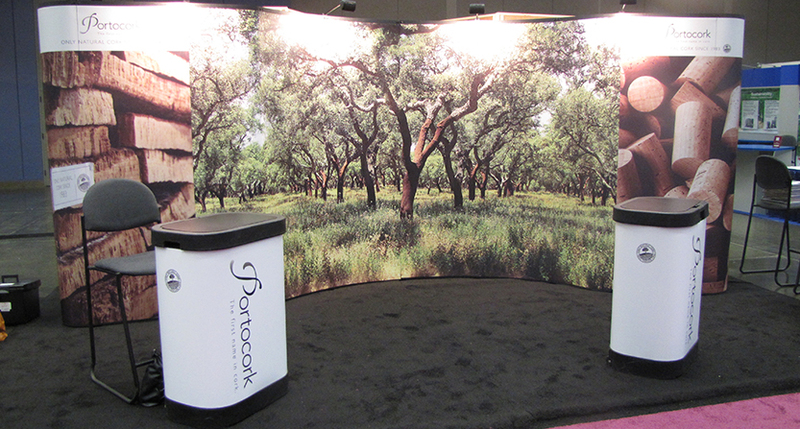 We provide a range of sizes, so you can order them to be inches-tall tabletop stands or huge trade show backdrops that star as your branding centerpiece. We offer retractable, telescopic and spring-back styles, and they also come in three models: economy, standard and premium. 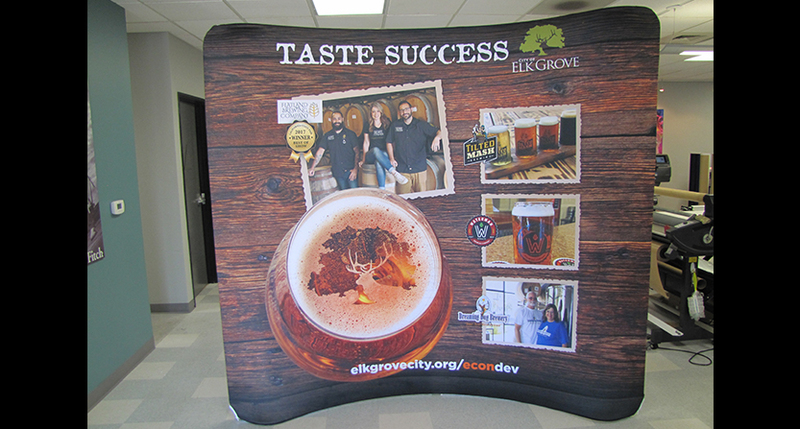 Hop ups: These display kits are ultra-portable and fit large fabric graphics, which are great for grabbing eyes. These lightweight kits don’t require tools, and they come with LED lighting and carry cases. You can even use them inside or outside. Tents: Tents not only make a big impact on passersby, but they’re also practical. They provide cover from the sun and other weather conditions while offering other ways to advertise with products like banners, point of purchase displays and more. Choose from popup, tubular and inflatable styles that also come in a wide variety of sizes. Backlit displays: In addition to front-lighted displays, we offer the popular backlit display, which includes the frame and LED lights to bring your trade show to life! We offer plenty of other products, too, like flags, table toppers, kiosks and literature stands. Contact us to arrange your consultation right away. We serve the entirety of Sacramento, Placer and El Dorado counties, so you can also stop by our studio, which is located near White Rock Road and Prospect Park Drive in Rancho Cordova. We aim to become a trusted extension of your marketing team, which means we’ll discuss every aspect of your project to ensure you come away with the ultimate pop-up trade show display!